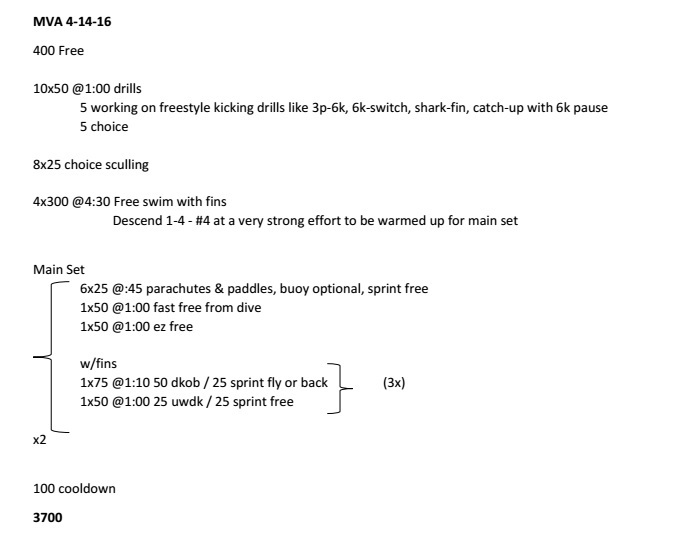 This is our workout from recently—the focus was sprint/power. Our senior group enjoyed the main set. We had two groups going, one on parachutes and the other with fins and then they switched.